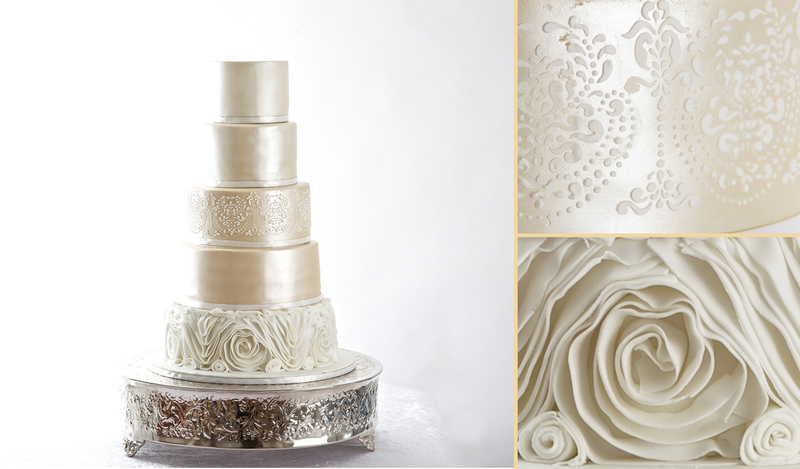 Sweet Hollywood present a stunning champagne coloured five tier bespoke wedding cake @ Radison Hotel Heathrow. Beautifully displayed on our floating table which we surrounded with white phalaenopsis orchids. The bespoke cake was a beautiful metallic champagne colour and featured a dramatic rose ruffle base and royal icing detailing.